A fellow author and mutual friend of Marantha D. Jenelle and myself, Georgina Hannan, is having a birthday. In honor of this she is holding a giveaway with up to 15 winners! 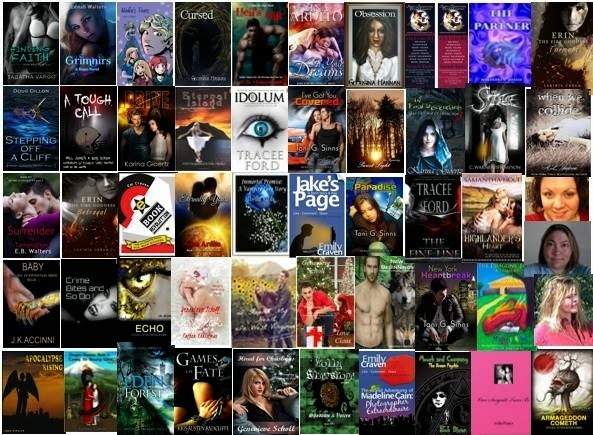 Enter and you could win one of these fabulous books shown below. To enter go to http://tinyurl.com/p3ht46x and follow the instructions. The prequel story for the "Selkies' Skins" series will be available on Smashwords (and through other outlets as well) December 1st. This is not one that is currently available to read on the archive site. 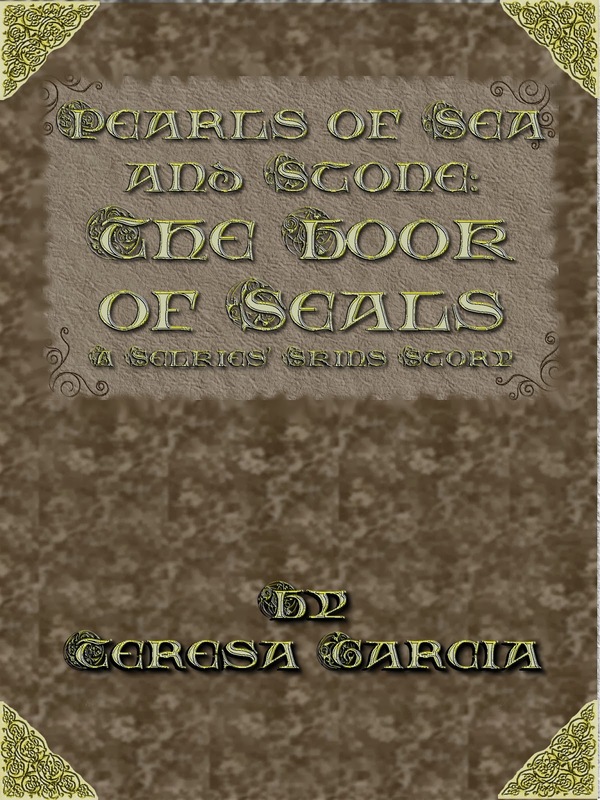 In "Pearls of Sea and Stone: Book of Seals" we will join the half-selkie witch Kirsty Makay as she peruses an ancient manuscript that has been hidden in the Castle Carrick library for centuries. What will she learn by reading the book, and will any of it ultimately prepare her for when she is to begin her skinquest trials or for her priestess initiations? For now this will only be available in e-copy. The sci-fi/fantasy "Irony" by Marantha D. Jenelle is now available on Smashwords, which means that it is shipping out to various other ebook suppliers such as Kobo. Hathim, leader of the Superna refuge, and his mate have a crisis on their hands. Told through the eyes of his mate find out how they save their races from a terrible poison designed specifically to kill the non-human. It will be $0.99 there, and once I get it uploaded on Amazon for the Kindle it will match that price there as well. Marantha still has several other works that I am making my way through, including her trilogy. However, like "Selkies' Skins" and "Dragon Shaman" are for me since university classes have started my classwork must take more of my time. Otherwise Marantha may come back and keep prodding me, just like she used to call me up to check on how I was doing with school and how close the degree was getting. The release party for the anthology went very well, and we had quite a few people come through. It did go out to three whole hours worth of music and chat which spanned many topics. This of course covered dragons, the book, some of my books, Dragon Hearts and games, and books Grease has been working on. It was great seeing so many people come together and from different groups. Grease Coakes/John Krauss was busy DJing some great tunes, Methos Anubis one of those that helps to run to club was here, Kino was our lovely hostess... Salaiek, the cover artist was out there dancing with me (my mate was out on the floor with us at one point, that delightful fox over in the corner beyond the purple flouncy dragon that I am)... plus many other people that came by. Here's a few pictures from the party. Best part of parties thrown in SL? Cleanup is generally really easy. Soon we'll find out who the two lucky winners of free copies of the book are. 1. 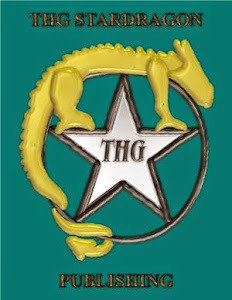 Tonight at 6PM Pacific Time is the release party for the first volume our dragon anthology "The Dragons' Beads: A Treasury." 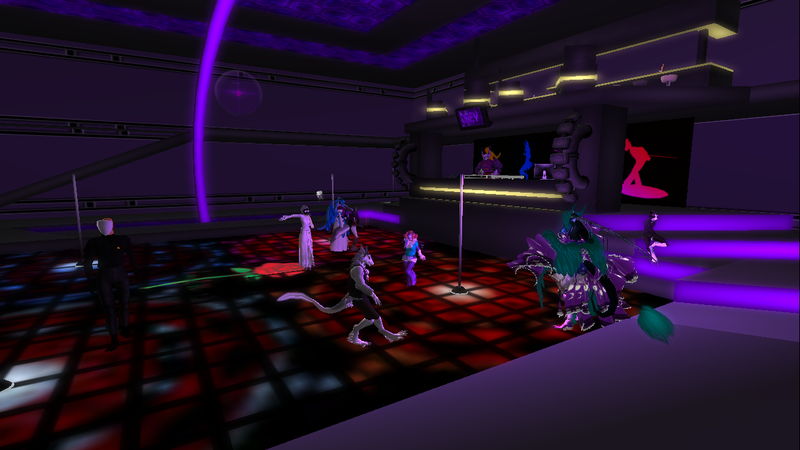 Come hang out in Second Life at The Rose Lounge for games, a sample of the book, dance, music, and of course talking about dragons. You can find the lounge by searching "The Rose Lounge" in the viewer's search tab or by joining the Arashiryuu Productions group to get the landmark or a teleport. If you rez in the wrong spot, then open up the people tab and IM Amehana Ishtari. 2. Also, the giveaway event on Rafflecopter ends tomorrow. Time is running out to enter for a chance to win one of two free copies. 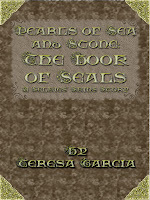 The book is available at several venues, some inworld and some RL. Submissions are also open for the next volume already and close August 1, 2015. After rezzing in look for the building with the THG StarDragon Publishing and Arashiryuu Productions signs. There will be a vendor inside. We are next to Oscycat Designs. 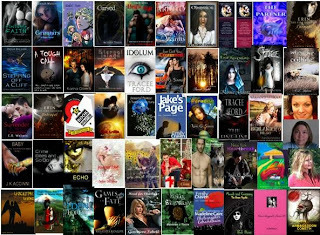 Reviews are welcome and encouraged as some of the writers are just making their debut, while others are seasoned authors. You can leave reviews online at the RL venues, and also at GoodReads. Or if you want to leave a review but would rather not go onto a site, you can put your review in a notecard (with name you want the review to go up under) and I can put it up on the publishing website. Release day is upon us for volume one of the dragon poetry and short story anthology "The Dragons' Beads: A Treasury." Thank you to the contributors that made this possible. It was very exciting to see how many different views of 'dragon' sprang from the prompt. “The Dragons' Beads" features the work of Elizabeth Buckley, Niels Van Eekelen, Athena Garcia, Ollie Lambert, Douglas J. Moore, Meghan Proctor, Jo Anne Spiese, Kristina Stumpf & Michael Camp, and Rachel Wookey. The price is set so as to be worked out roughly the same as the other ebook versions. Please show the contributors some love by leaving a review after you've been able to read it. They all worked very hard and I am pleased with what was submitted. Reviews can be left either where you purchased the book, at the Goodreads page, or by dropping a notecard to Amehana Ishtari within Second Life (or in one of the mail slots at the shrine board). Don't forget about the after release party. 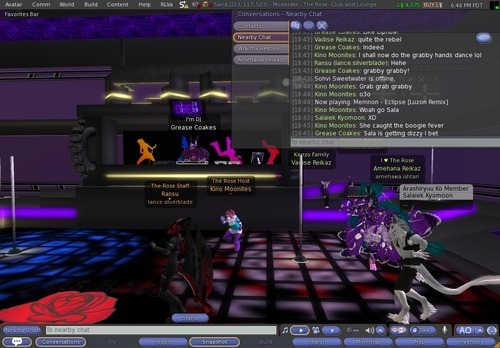 That can be accessed through Second Life (either the SL viewer or one of many third party viewers... I use Firestorm) at 6 PM SLT/Pacific Time. It was originally scheduled for 6 to 8, but Grease/John has enough music that if it looks like people want it and it gets cleared with the sim owner to extend another hour. If you come, there are a couple of "dragon eggs" among the songs that I specifically asked to be played. The first one to IM me during the celebration event for each particular "egg" of the two will win 10 Lindens. If someone IMs me with both then they will earn 20 Lindens.